The Achilles Supply-Line community creates opportunities for suppliers whilst helping Irish buyers to build and manage fully-compliant supply chains. We don’t believe in one size fits all – so we’ve provided different pricing options based on the value of the contracts you want to see. For contracts up to €50,000. - While Tier 1 is free, it should be noted the vast majority of buyers source via Tier 2 and Tier 3. 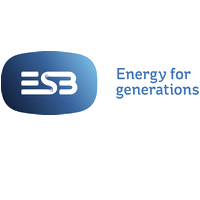 - An up-to-date Verify Audit is currently a requirement for onsite business with SSE Renewables in Ireland.